Like most Internet denizens, I was first introduced to Senator Bernie Sanders via a meme from an overzealous supporter. I was intrigued, but not entirely convinced, by the populist sentiments written on it. I've read these sentiments before and I've seen how overeager people can be with their icons -- to the point of falling victims to blind spots. Do you remember the #RonPaul2012 tribe comprised mostly of libertarians? I brushed Senator Sanders' supporters off as being the same: feverishly idealistic to the point of delusion. I was right about the libertarian crowd and Ron Paul's supporters, but I was wrong about Bernie Sanders'. I know it is a fool's errand to debate with libertarians so please spare me the trolling. He's been an advocate and part of the Civil Rights Movement since before many of us were born. In fact, he was even present when the great Civil Rights leader, Martin Luther King, Jr. made his famous "I Have a Dream" speech at the Lincoln Memorial in Washington, D.C.
Latinos are, without a doubt, beneficiaries of this movement and we are eternally grateful to those who stood by us since then. We are a loyal people. We might forgive others for their transgressions, but we don't forget. Yes, people change. God knows I've said and done things I'm not proud of, even at my age, but it's more admirable of a person to never have to say sorry because he/she has always done the right thing and not have many regrets. Regrets are heavy, and though they may make us kinder to those whom do us wrong, they turn us soft. This is totally fine, even righteous, but not when it comes to politics. If you're soft on your opponent for fear of getting called a hypocrite, you risk hurting millions of lives. Senator Bernie Sanders is no hypocrite for he has always been morally consistent -- making his righteous indignation even more righteous. This is why I stand with Bernie. He loves people more than power. That is the kind of leadership we need. He serves the people. He's not beholden to corporations. He's not out flexing his political prowess with other politicians, the corporate world, and Hollywood. 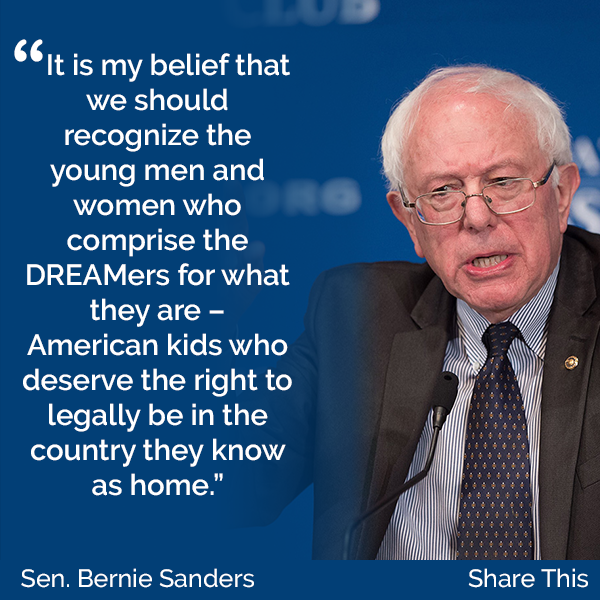 Senator Bernie Sanders is for the people while others are for people who seem like they're for the people. I much prefer someone who cuts the middleman. He is for the people and people are for him. See for yourselves. Though it is commendable some candidates are appointing Latinas, I fear we're getting hoodwinked with tokens and symbols. I could be wrong, for it is to be seen if Latinas appointed by other Democrats are going to actually be allowed to be active and engaged in bettering the lives of Latinos instead of being used as shields for legitimate criticisms. Many a Latino have had their wings clipped off by organizations, Hollywood and politicians. Let's hope this isn't the case anymore. One of the egregious and most unforgivable betrayals politicians have committed against us was to publicly state that our unaccompanied minors who are fleeing poverty and violence should be sent back to a life of exploitation, gang violence, starvation, suffering, and reportedly death. That's not who and what we need -- no matter how many Latinos are appointed by them. He's been consistently championing for issues that directly affect the Latino community. 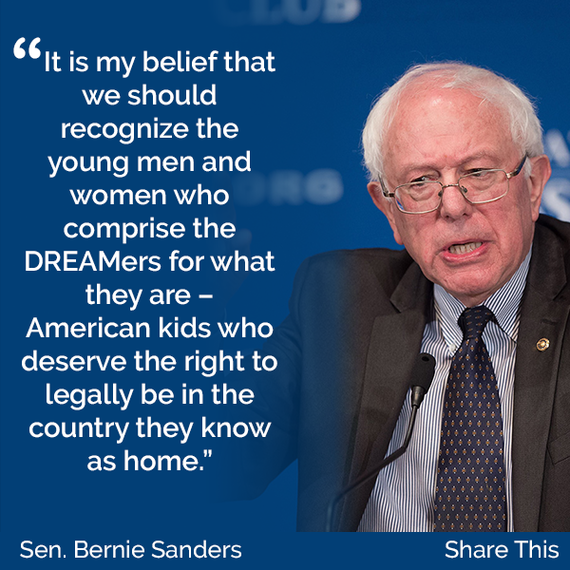 He supports our DREAMers and undocumented workers. He says immigrants "have been routinely cheated out of wages, held virtually captive by employers who have seized their documents, forced to live in unspeakably inhumane conditions and denied medical benefits for on-the-job injuries." He's been an advocate of health care reform. If you were to ask me what his major mistake has been, it's that he thought that after putting together this extraordinary grassroots movement of young people, minorities and working-class people and getting elected to the presidency, then he thought he could sit down with the Republicans and negotiate all these agreements. He was mistaken. We all know how poor health and health care disproportionately affects Latinos, African Americans, and the poor. It's a moral obligation for this nation to take care of its most vulnerable and to negotiate that with those who don't see is as such is unconscionable. He champions for the middle class, the working class, the elderly, the infirm, and the poor. He wants to alleviate student debt and help your children attain an affordable education. He's a candidate for all people. All of these issues (and more), again, affect Latinos disproportionately. Take them into account next time you vote. Latinos will decide the next presidential election. With an estimated 1.5 trillion purchasing power, we are changing and continue to change the American landscape in every facet imaginable. 800,000 Latinos turn 18 annually. All will be eligible to vote. We recently showed the world our ability to organically unite (thanks mostly to those of us who are active and over-index in social media) and take on a blowhard who won't be named. We won that battle. We are loyal, we are active, we remember, and we return the love we get by the tenfold. Welcome us into your campaign -- not just with lip service -- and we will make you the next president of the United States. The future of this nation lies with us. 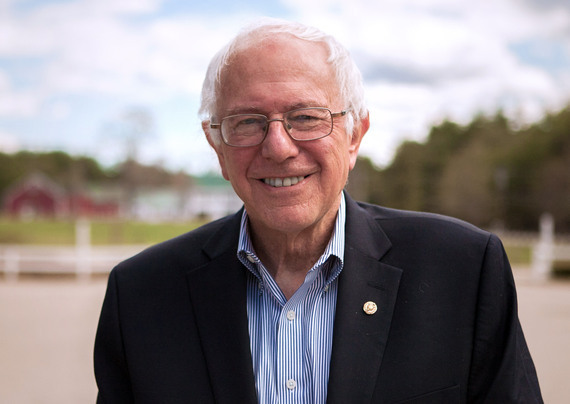 As a faithful servant, I say to you, get to know Bernie Sanders. Vote for him during the upcoming democratic presidential primary. Let's show the nation that we are an active part of it. I am not employed by Senator Bernie Sanders. I am not associated with any political party. I am not backed up by any corporation or organization, and this call to action isn't sponsored by anything or anyone, but my by my own mind, heart, and soul. P.S. Please "like", tweet, and share this call to action with your networks. Let's spread the word as far and wide as possible. Join the #LatinosForBernie and the #LatinosForBernieSanders conversation.